In Jennifer sewing room they call these Santa Socks, because Santa likes to slip them on when it is especially chilly at the North Pole. Plus they are super cheery and wonderfully soft they make him smile with glee when he wears them. 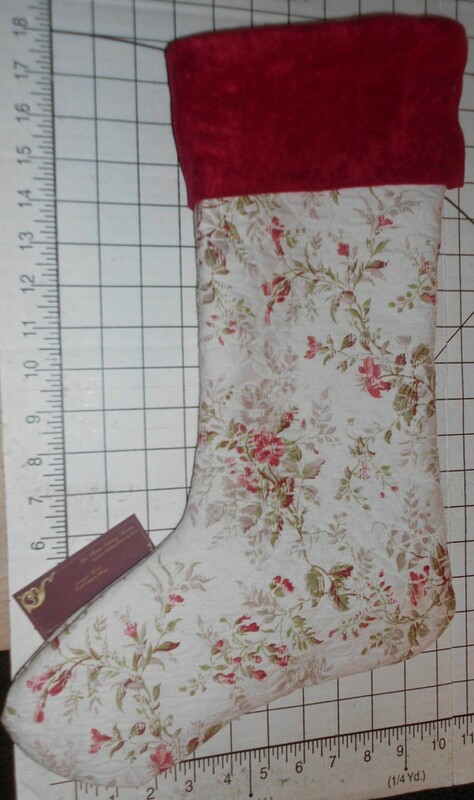 The following one is a beautiful stocking made with off white brocade fabric with a lovely red floral print. 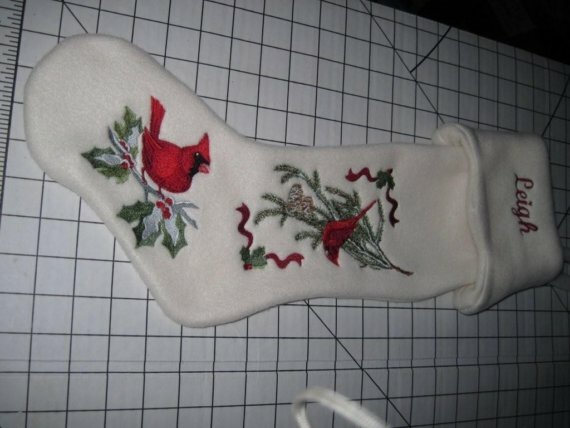 This stocking would make a lovely addition to your elegant Christmas decor. If you prefer something funky and fun, next one is created for you! 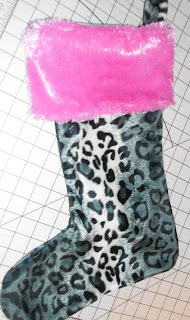 The stocking is a black and white leopard print low pile faux fur. Cuff is a bubble gum pink fuzzy faux fur! As well as regular items you can have custom item with 1 name monogramed on the cuff. 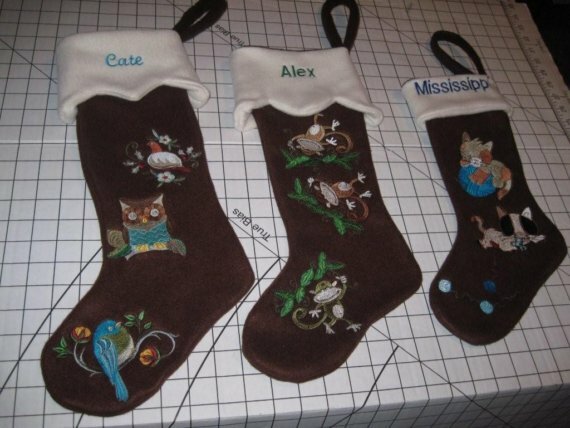 The colors of your stockings and cuff and the direction you would like your toe pointing can also be customized. 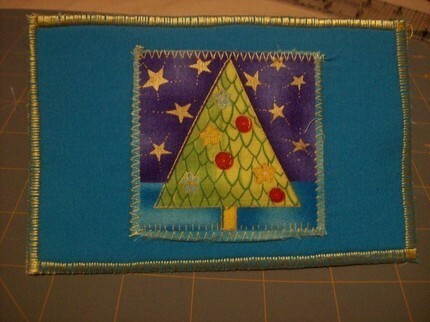 Except of Stocking you can also find tree skirts, gift wraps, ornaments and fabric cards in Mrs Claus Sewing Room. I like the idea of fabric cards. It's really something unusual and warm. Imagine how your friend or family member would feel seeing it in their mailbox.